London, 1887. As the city prepares to celebrate Queen Victoria's golden jubilee, Veronica Speedwell is marking a milestone of her own. After burying her spinster aunt, the orphaned Veronica is free to resume her world travels in pursuit of scientific inquiry - and the occasional romantic dalliance. 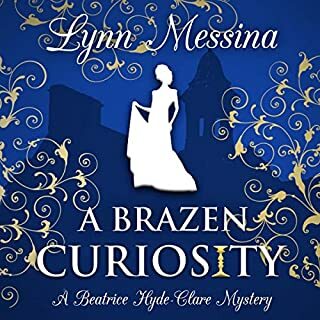 As familiar with hunting butterflies as she is fending off admirers, Veronica wields her butterfly net and a sharpened hatpin with equal aplomb, and with her last connection to England now gone, she intends to embark upon the journey of a lifetime. But fate has other plans, as Veronica discovers when she thwarts her own abduction with the help of an enigmatic German baron with ties to her mysterious past. 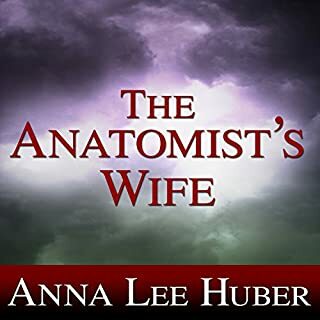 Promising to reveal in time what he knows of the plot against her, the baron offers her temporary sanctuary in the care of his friend Stoker - a reclusive natural historian as intriguing as he is bad-tempered. But before the baron can deliver on his tantalizing vow to reveal the secrets he has concealed for decades, he is found murdered. Suddenly Veronica and Stoker are forced to go on the run from an elusive assailant, wary partners in search of the villainous truth. I won't address the plot here - others have done so. I do want to address the criticism that the heroine is unlikable. I can understand that her brusque demeanor might be off-putting. She is definitely of a type - a strong, independent woman exercising her own agency in an era when that was not the norm. Veronica Speedwell reminded me very much of Amelia Peabody or Alexia Tarabotti, women convinced of their superior judgment, seldom wrong but never in doubt. I enjoyed the book immensely. It's character types and plot do fit neatly into tropes we've seen before (an exceptional independent woman aided by a rugged misanthrope with a secret or troubled past - eg Mr Rochester - faces sinister forces). If that sounds like the perfect cozy read for a rainy day or on the beach, then I heartily recommend A Curious Beginning. For anyone worried that this is written by a Romance novelist, I can only say it is not remotely a bodice ripper. There is sexual tension and some suggestive dialogue, but I could probably give this to my Sunday School teacher mother to read without any concern of offending her. The best news of all - especially for anyone who misses The Parasol Protectorate and Amelia Peabody series - is that the book seems set up as the first in a series. I'm eagerly anticipating the follow up! 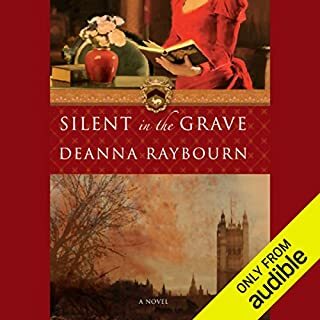 Very different than the other Deanna Raybourn titles I have listened to but I loved it. Great character development and sometimes laugh out loud funny. Can't wait for the next installment in the series. 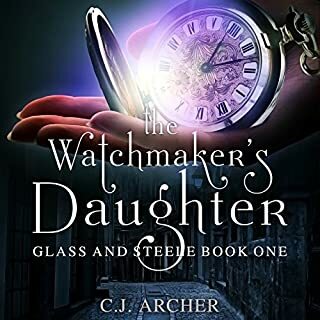 This is an object lesson in how a reader can make or break a book: Angele Masters did an absolutely stunning job here - excellent pacing, great voices - I thoroughly enjoyed it! 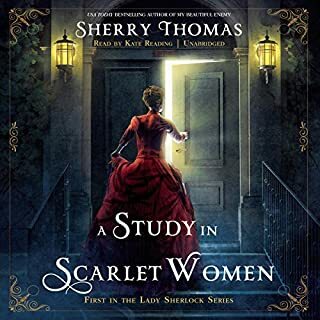 All that being said, it was a very enjoyable listen with fun characters - who owe a great deal to Elizabeth Peters' Amelia Peabody, by the way, books I would highly recommend if you like this. I was fortunate to take a risk on a sale book, and thoroughly enjoyed this almost mythical tale. 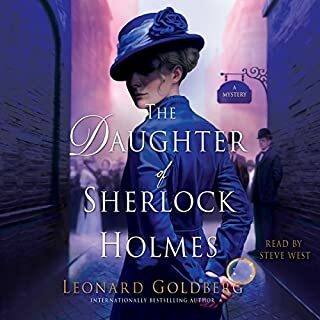 Heroine lepidopterist and rogue hero naturalist are thrown together when the mystery of the woman's birth puts them both in peril of several powerful forces, including special forces of Scotland Yard. The heroine is a most interesting character in that in the late 1800s, she values her independence above all else. Gratefully, she establishes an intellectual relationship with her fellow scientist, yet it's not without sexual tensions. However, this is most definitely NOT a romance novel. The banter between them is great fun. I will definitely give this story a second listen, and will look for other books by this author. Look forward to the next one. BTW: fantastic performance by Angele Masters. Her characterizations were spot on. Ms. Raybourn and Ms. Masters make a great team! Throughly enjoyed this excellent mystery! The characters are well formed - smart and humorous, and the mystery has enough twists and turns to keep the reader intrigued. I look forward to more outings with Veronica and Stoker! What could Deanna Raybourn have done to make this a more enjoyable book for you? For one thing, I find it hard to understand why a woman who is supposed to be a free thinker for her time must be portrayed as opinionated, obnoxious and rude. Somehow it would seem to me that a person who has self confidence would be calmer and more relaxed and self possessed. The narrator may have been very good, but the main character is so strident and shrill that it was like fingernails on a blackboard to me. Disappointment, mostly, because the reviews I read made it seem humorous and adventurous and did not mention it as a romance. I tried to reserve my judgement and give it a chance, but as it went on it got more and more grating. Just couldn't finish it. I'm a bit sad the book is over but I can't wait for the next adventure with Veronica Speedwell! 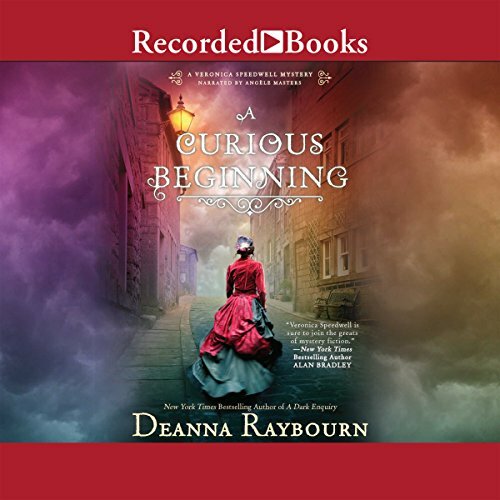 Deanna Raybourn delivers the wit, twists and turns and Victorian authenticity that you expect from her novels.